Then she made...: China or Chinet? Thanksgiving or do you buy Chinet? Turn your paper plates into turkeys! This works great if you will be entertaining small children. 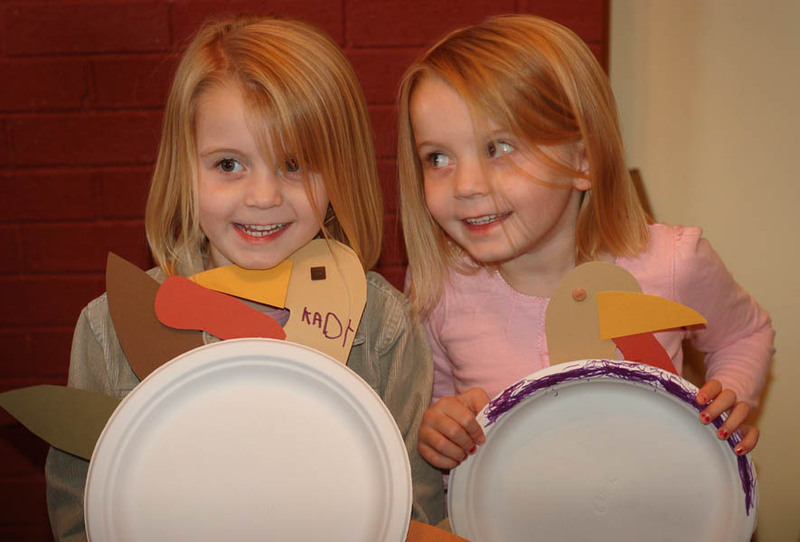 Cut out several different turkey parts: feathers, heads, waddles, beaks, feet, etc... from pieces of cardstock. Just make a big pile of each. 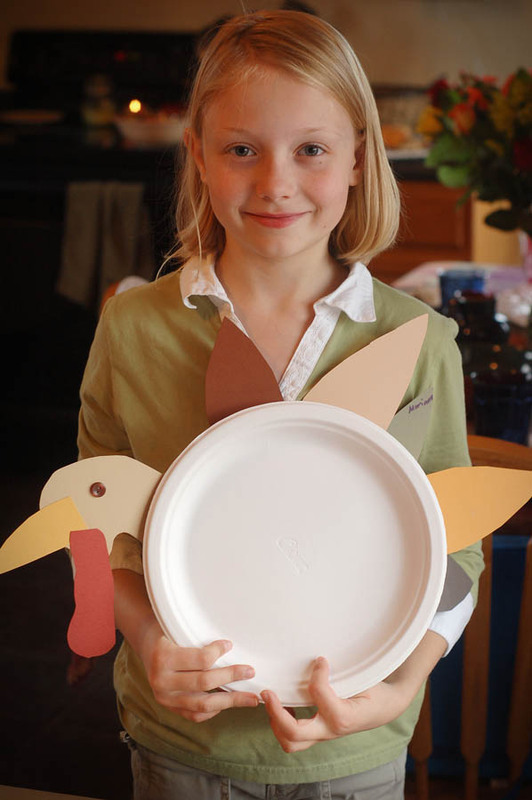 Then, as your guests arrive have them make a turkey out of their paper plate and place it on the table at the place they'd like to sit. Because they've picked their place, you won't need name cards or assignments. And, the cute little turkeys act as table decor. Plus, it gives the little ones something to do while they wait for the yummy food to be served.